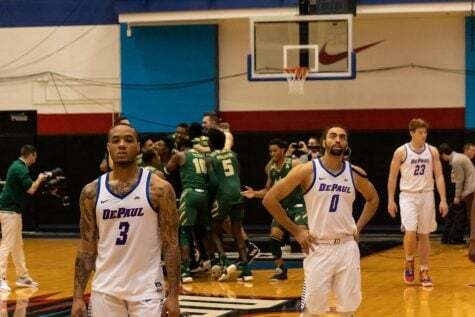 After a string of upsets during Thanksgiving week, DePaul (1-3) looked like they might pull off one of their own after a strong first half against No. 4 Michigan State (3-1), but were not able to keep pace in the second half as the Spartans pulled away for a 73-51 win in the first round of the PK80 Classic Thursday Night. The Spartans came out hot, opening up a 10-2 lead just five minutes in, but the Blue Demons closed the gap quickly, bringing the score to 10-8 after a layup by Eli Cain and a Tre’Darius McCallum three from the corner. 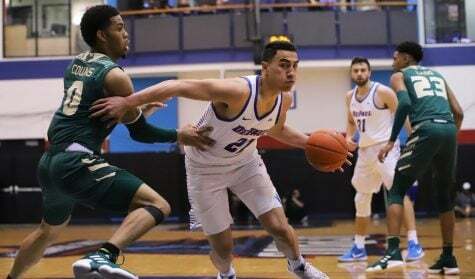 The Blue Demons continued to hang around taking advantage of nine first-half turnovers by the No. 4 team in the nation. 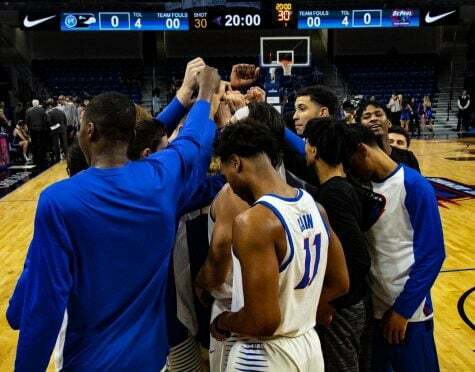 The Blue Demons took their first lead of the game at 22-20 after two Max Strus free throws and extended the lead up to 6 on an 11-0 run to take a 26-20 lead with four minutes to play in the first half. The Spartans came right back with a 7-0 run of their own, retaking the lead on a Matt McQuaid three. 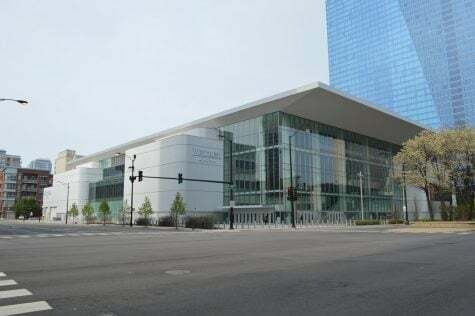 McQuaid, who started in place of the injured Miles Bridges, had 11 points in the first half and continued to hurt the Blue Demons in the second half with 20 points for the game despite battling through a knee injury suffered earlier in the contest. The Blue Demons went into half with momentum after a Cain three at the first-half buzzer tied the game at 31 heading into half. This came despite shooting 28.6 percent from the field. 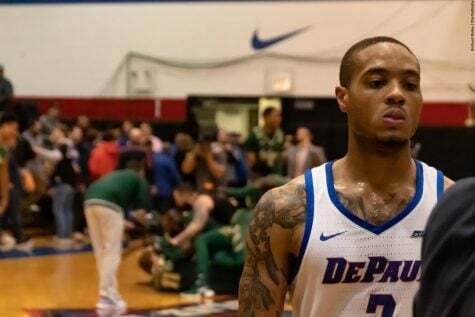 After battling foul trouble against Illinois, it was DePaul who was able to get Michigan State in foul trouble with six players picking up two fouls in the first half, including one of their top scorers Nick Ward who picked up two fouls just a couple minutes in. The Blue Demons opened the second half scoring with a nice pass from Cain to McCallum for the dunk to take a 33-31 lead. After tying the game at 37 after a Marin Maric layup, the Spartans began to make their run holding the Blue Demons scoreless over the next seven minutes as they went on a 14-0 run to take a 51-37 lead. 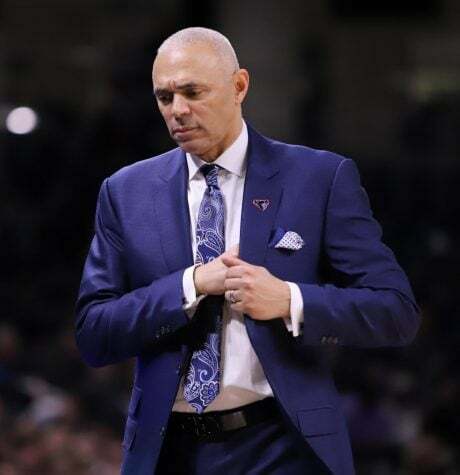 For the second straight game, McCallum was again in foul trouble, picking up his fourth personal early in the second half forcing him to sit out much of the Spartans run. 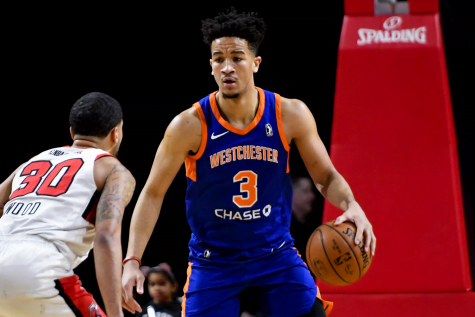 He finished the game with 11 points, most of that coming in the first half. 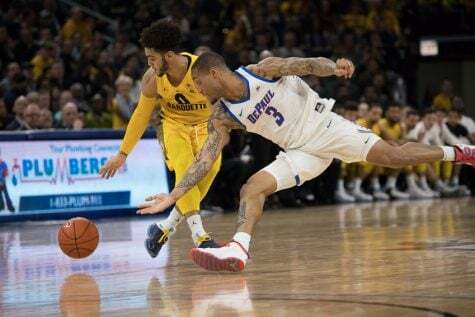 The Spartans dominant run continued throughout much of the second half as the Blue Demons continued to struggle to score. The deficit reached as much as 24 down the stretch. Cain and Strus finished with 12 points apiece while the Blue Demon bench contributed just two points to the loss. Strus was just 1-10 from the field but went 10 for 10 from the line to finish as one of three Blue Demons in double figures. 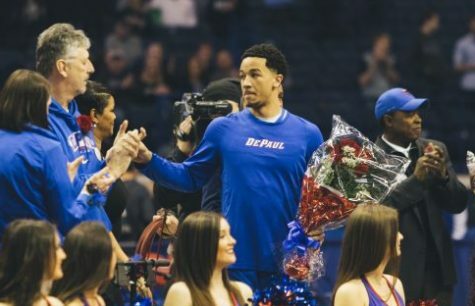 Devin Gage returned to the lineup after suffering an ankle injury in DePaul’s loss to Illinois and finished with eight points. DePaul now faces Oregon (4-1) Friday night who also lost 71-63 in overtime.